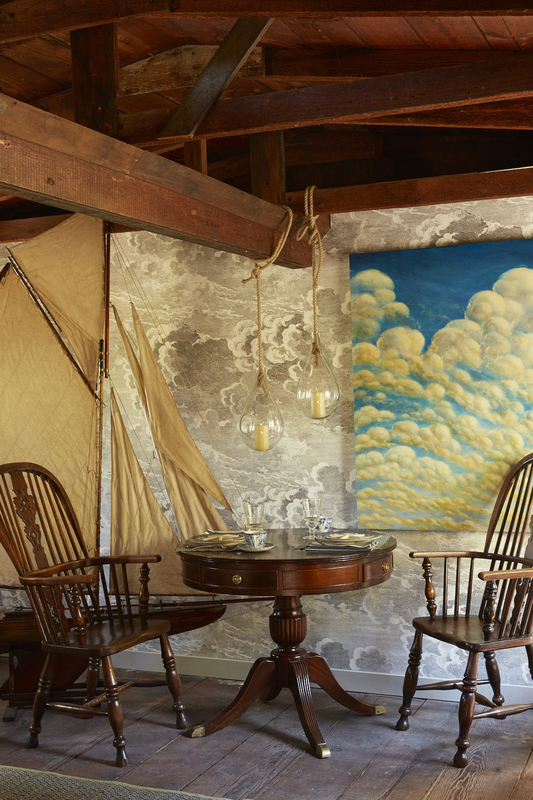 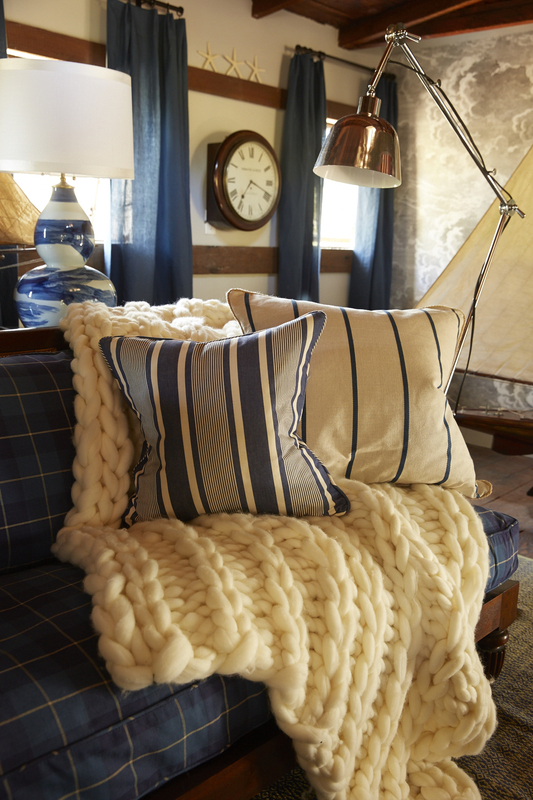 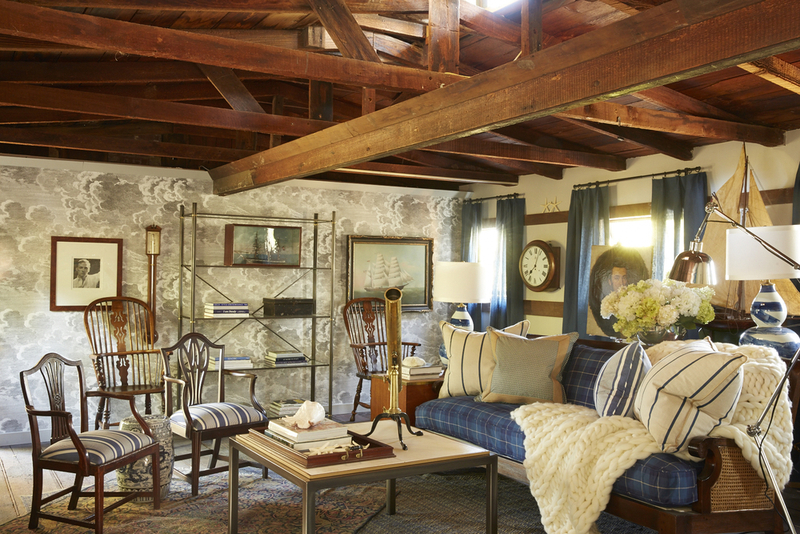 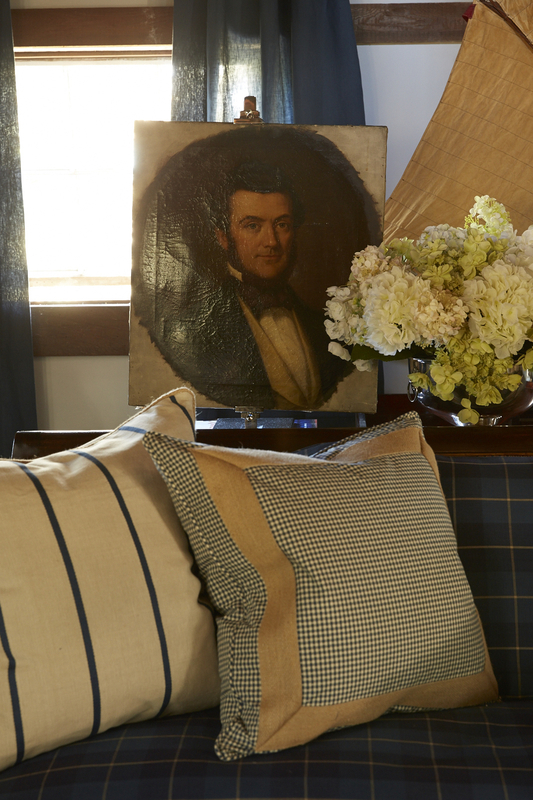 Inspired by San Francisco’s rich maritime history, we decided to transform the Caldwell Vineyard's historic Cheese Barn into a "Dark and Stormy Study" for the 2014 Traditional Home Napa Valley Showhouse. 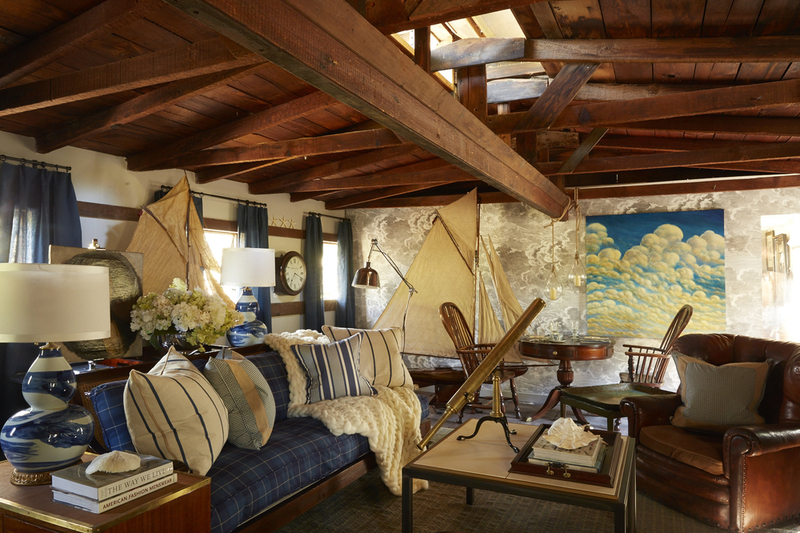 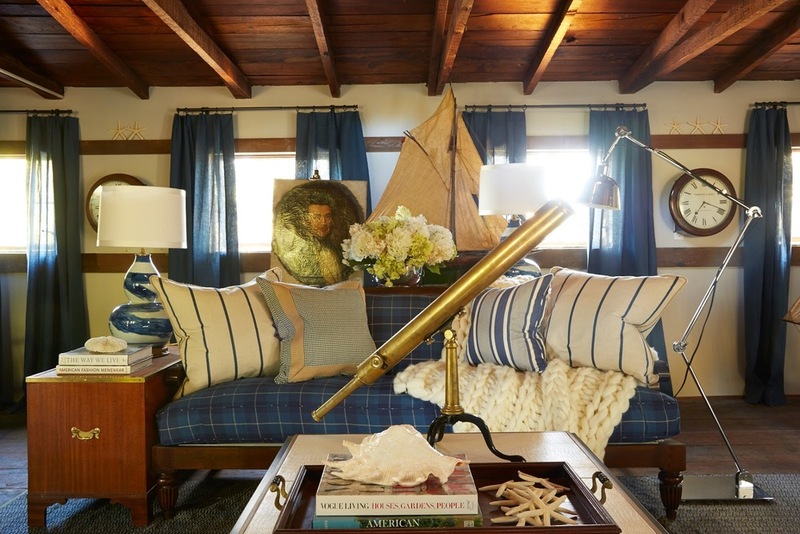 Conceived in a coastal color palette of navy, grey and sand, this moody retreat includes the dramatic storm-cloud Fornasetti Nuvolette wallpaper, an abstract "Big Sky" painting by Daniel Tousignant, and an eight-foot vintage boat model. 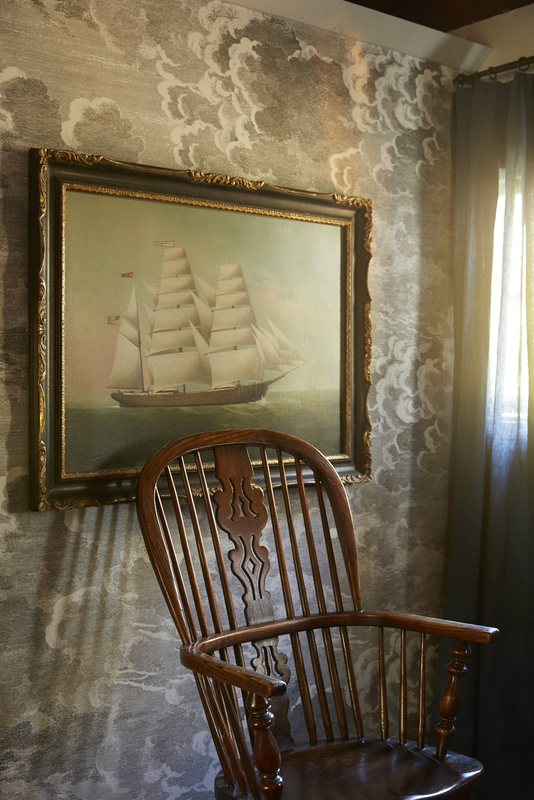 Also seen in Traditional Home.